Craig Mullins is now one of my all-time favorite concept artists and illustrators, up there with N.C. Wyeth and Ralph McQuarrie. He has created some of the most iconic designs on film and video games, touching everything from history to fantasy to science-fiction. Here's a selection of my favorites. What I love about Mullins is his control of the light and the economy of his brushstrokes. Like Velazquez or John Singer Sargent, from a distance everything seems the product of painstaking detailed work. When you zoom in you realize there's no detail work, just broad—precise brushes, the clever use of texture, layers, and light. Masterful. Expand the images and zoom in to see what I mean. 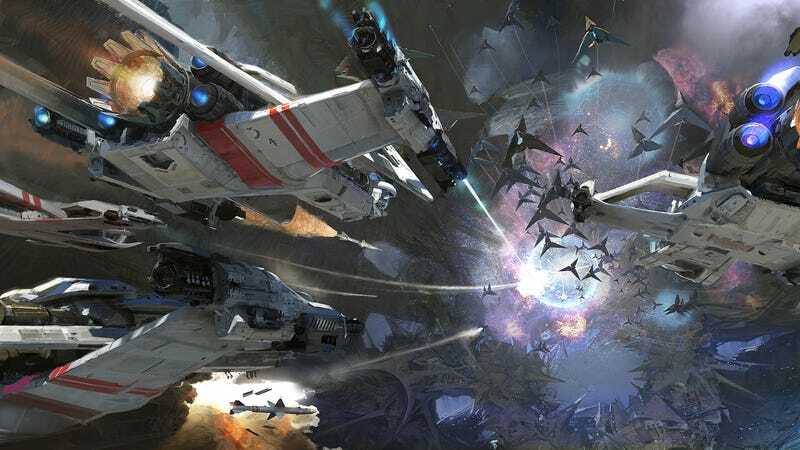 Born in California in 1964, Craig Mullins has worked as a concept designer and illustrator in movies, book and video games, including Apollo 13, Contact, Halo 2, Mass Effect, and Bioshock 2 among countless others. This is part of a series in which we are featuring really cool 2D or 3D illustrations and animations. If you are an illustrator or animator with high quality work, please drop me a line here.